Author of marketing books, keynote speaker and advertising veteran joins experienced team. 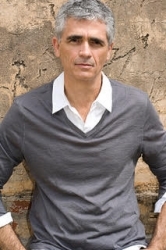 Miami, FL, September 24, 2018 --(PR.com)-- SportsEdTV has appointed Bruce Turkel, noted author, keynote speaker and founder of Turkel Brands to its Advisory Board. With this appointment, Turkel joins the experienced management team guiding the development of this Miami-based online sports instruction media company, which launched in July 2018. “The appointment of Bruce brings a world-class marketing expert and Miami business legend to our team,” said Chairman and CMO Robert Mazzucchelli. “We want to have a significant impact on the Miami business landscape and Bruce’s experience, network and know-how will help us achieve that goal,” added Mazzucchelli. In his new role with SportsEdTV, Turkel will focus on business development, as well as building relationships with key Miami sports and leisure venues and government entities, both in Miami and Miami Beach, Turkel’s home town. Turkel is a noted author, speaker and advertising guru. He has been featured hundreds of times on Fox Business, Fox News and CNN, providing insightful marketing commentary. His most recent book, All About Them, has prompted many business leaders to adopt the book title as their mantra. Turkel has advised hundreds of brands during his thirty-year advertising career at Turkel Brands, and currently inspires audiences worldwide as a sought-after keynote speaker. www.sportsedtv.com provides free, world-class, online video instruction in over thirty sports. Our expert coaches teach technique, strategy, tactics, strength and conditioning, nutrition, mental toughness, and the unique lifestyle complexities of being an athlete to competitors and sport participants at all levels, from beginner through professional. Everyone can improve by watching our videos. Our “tips of the day” and video analysis of great champions are insightful, and viewers can enjoy our fun “play of the day” features and global news updates on their favorite sports, teams and events. It’s great for athletes, coaches and parents looking for an edge.